Analyze transactional processes and identify areas where additional accuracies and efficiencies can be achieved for Marmonil for Marble and Granite. 1. Analyze transactional processes and identify areas where additional accuracies and efficiencies can be achieved. 2.	Review and re-evaluate the chart of accounts regularly to make the presentation of financial position easy and compatible with the Egyptian Accounting Standard. 3. 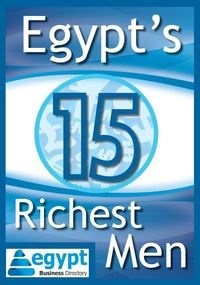 Knowledgeable with the Egyptian laws, such as, income tax law, sales tax law, stamp law and commercial law. 4. Prepare work papers and supporting schedules for the annual financial review. 6. Responsible for knowing critical functions within the department and capable of mentoring and assisting employees within the department. 7. Utilize teamwork to develop departmental synergy. 9. High knowledge of all accounting aspects especially the Egyptian Accounting Standard . 10. Responsible for managing the departments of accounts payable and accounts receivable . 11. Reviews accounts payables and weekly check runs. 12. Prepares critical fiscal documentation regarding accounting activities, e.g., weekly, monthly, quarterly and annual reports, draft and revised, and supervises employees to prepare the monthly required reports . 13. Reviews, investigates, and corrects errors and inconsistencies in financial entries, documents, and reports. 14. Re-evaluate the responsibilities of his staff to maintain the internal control requirements . 15. Plans, manages, coordinates, and implements the year end closing processes and procedures for the assigned accounting records; conducts year-end closing process; provides information to financial auditors; conducts standard internal audits of various accounting records. 16. Evaluates receipts, expenditure forms, purchase orders, distributions, and disbursement orders for the purpose of ensuring compliance with established regulatory standards. 1. A chief accountant must be able to meet the demands of an ever-changing business environment. 2. Have a critical mind in identifying and defining clearly the problem, evaluating different ideas or ways of solving the problem from the data gathered, and making a choice on which one is the best among the different ideas evaluated . 3. Should also have extensive knowledge in fast-paced technologies and accounting programs and possess excellent mathematical skills . 4. Should also have strong written and verbal communication skills, time management and organizational skills, problem-solving and analytical skills, as well as leadership and administrative skills. •	Excellent knowledge of Microsoft Office Application, particularly Excel. •	Background experience working on an ERP system is an added advantage. •	Must possess a bachelor's degree in accounting. Post graduate studies are preferable. •	Have a work experience at a similar job for at least 7 years.